“That guy must have a spiritual problem“. He said it with authoritative finality like he had statistical data to back it up. “so how do you know this for sure” asked his friend. “All you have to do is look at what has happened to him since he joined the company. The first unit he was in, he worked hard and eventually became the assistant head of the unit. He was really the guy doing the job – the boss was just taking the credit. And then, the boss’s favorite pet came up with a fraud accusation against him. They couldn’t really prove it but the boss took side with his pet. He was demoted and transferred to another unit. So, why doesn’t he just leave the company and join another? The company funded an international training for him and he signed a bond with them. Unless he has the cash to refund the cost, he ain’t going nowhere. Why Does He Need Deliverance? I bet you have heard similar stories like this. Good Christians doing their best but it just seems like they can’t break that glass ceiling. We come from a culture strongly driven by a sense of the supernatural. We quickly fall-back to it as the source of every problem we can’t immediately explain. There must have a spiritual problem if things are not going right. Or a hex must have been placed on him to keep him from moving forward. Or there must be someone behind the scenes pulling his strings. The only way for him to be free to go for deliverance. Jesus can keep you free from sin but in everything else, the devil seems to have a beat on him. The devil gets to His children before He can protect them. This incomplete picture damages the gospel creating sick Christians. They think that they have to spend their days fighting the devil instead of loving God. Christianity comes with spiritual warfare. But a lot of what we now call spiritual warfare is just fidgety people screaming at the top of their lungs at desert mirages. As Christians, we must fight to advance God’s rule. His control must expand to everywhere He has not been acknowledged. And that includes every aspect of our lives that we have not lived in full surrender to God. But spiritual warfare is very different from what most of us do when we get in a sticky situation. When we become born-again, we are moved out of the kingdom of the devil into the family of God. As children of God, we are entitled to all rights of sonship and everything that comes with it. This means nothing can harm us unless it is our daddy at work, training us through hardship for His work. If we are confused about how this works, let’s just look at Jesus. While Jesus lived as a man, God did not allow Him to suffer. The only suffering He went through helped to advance God’s purpose. God did not waste His suffering. This means that as God’s kids we are not immune to occasional turns in life when life does not turn out the way we expected. 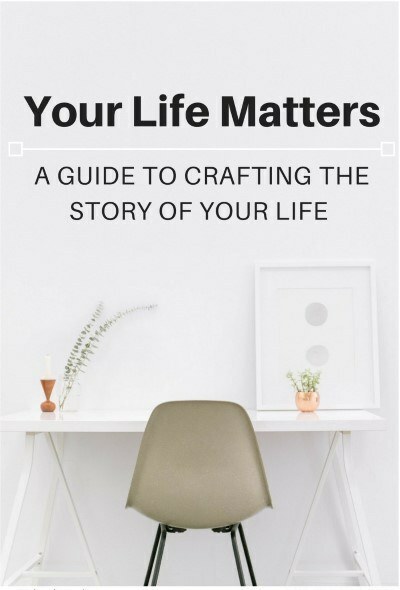 It’s not the devil – it’s just life happening to us all. 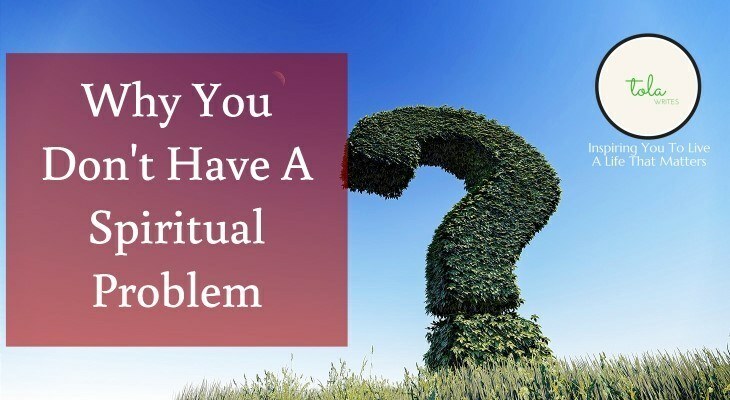 Why You Don’t Have A Spiritual Problem? Remember the story I started with at the beginning of this post? It’s actually the story of Joseph with a modern twist (again, right). If you are familiar with Joseph story you can already see the thread I wove. Bottom line is this. If Joseph were alive, some of you guys would have advised him to go for deliverance. He must have a spiritual problem, considering all these bad stuff happening to him. 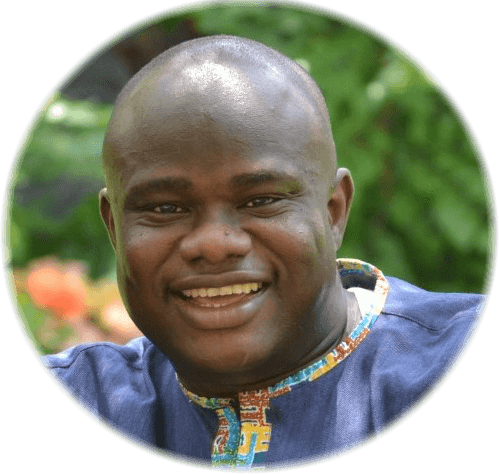 Why did God have him start from the bottom to get to the top? Couldn’t he have gotten to the top through an easier route? What we sometimes think is a spiritual problem is just a life problem. So, how do you deal with a life problem? Just not the way most people do it. You pray for the skills and ability to solve this life problem. And if this is something not to be solved – the wisdom to live through it. How do you know the action that God wants you to run with? Well, try them all, one at a time. As long as they don’t conflict with any biblical principle. Supposing you chose the wrong one? God has you covered on that one. Read more about that on this post. Just to be clear, I have not removed the essence of a spiritual reality. It’s just that we forget that spiritual reality means we have been put under the security of God. Nothing can harm us. Yes, we will have tough times but it’s not because someone out there beat God to the punch. God will take care of His kids and no one gets a drop on Him. Let that spiritual assurance give you the confidence to face every day. You are living in a friendly heaven. God has got your back so you don’t need to think that someone put a hex on you. And as they say in the vernacular, “someone is using your good fortune”.